We have been invited to present Science of Flavour as part of the 2014 Aroma Festival. In this class we will take a look at what is happening on a scientific level when we assess the flavour of Coffee. Through a series of tests and demonstrations, we will give you a better understanding how you perceive tastes, aromas and flavour. Especially for those who love coffee, or otherwise for anyone who would like to further their sensory skills. Being able to assess coffee accurately and confidently is now a pre-requisite for any specialty barista. Without formal training, the process of becoming a good “taster” can take many years. This course is designed to provide a clear foundation and help lay the first building block. A little like learning a language, you will learn from this course the structure and grammar, so each time you taste afterwards you are adding words to your flavour vocabulary and moving towards being able to speak the language fluently. The class will begin with an overview of the biology of the senses then move to practical exercises with Basic Tastes. The session will then move onto aromas and using the Le Nez du Cafe aroma kit we will explore what part aroma plays in flavour and how to build the associated skills. 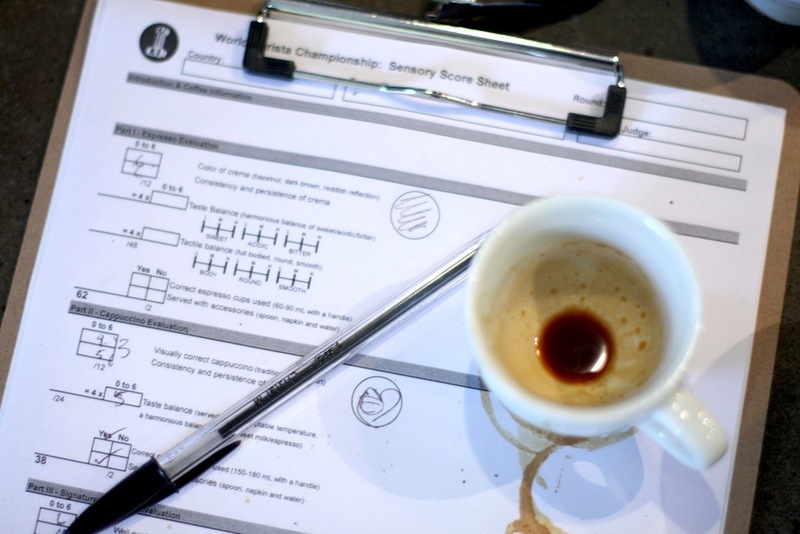 Finally we will assess a selection of coffees using the principles we have just learned. Sam Sgambellone is the founder of Coffee Kaizen and a partner in Mecca Espresso. He is dedicated to education and development of his staff, other coffee professionals and the general public. Sam has been heavily involved with the NSW Barista Guild, has won the NSW Cup Tasting Championship twice and is an AASCA Accredited Judge. Coffee Kaizen is committed to disseminating the most progressive coffee knowledge and techniques currently available to a broader audience.